Rumors of crypto’s death are greatly exaggerated. While headlines and punditry seem to suggest that the cryptocurrency movement has come to an unceremonious end, the reality is actually much more nuanced and robust. To be sure, the overall value of cryptocurrencies has dropped precipitously this year, but millions of people continue to own and trade digital assets. In short, the euphoria may have dampened, but the movement continues, and those assets need to be managed. Whether it’s the hundreds of ICOs that have become veritable crypto asset managers as they fulfill their technological promises or the millions of individuals accruing crypto assets in the form of currencies, futures contracts, or other investment vehicles, there is a growing need for crypto asset management. Of course, managing these assets can be tricky. With dozens of different crypto products dispersed among a myriad of different platforms, keeping track of everything requires an intentional strategy. Therefore, when it comes to crypto asset management, there are a few things worth prioritizing. Cryptocurrencies are frustrating expansive. While they create a diverse ecosystem of digital assets, managing them from a single account is difficult. There are dozens of exchanges offering a unique smattering of currencies, requiring investor flexibility to hold and manage accounts on many platforms. To make sure that you are able to keep tabs on all of your crypto finances, you’d want to use a crypto portfolio tracker solution such as Blox.io, which can achieve that high level of clarity by syncing all wallets and exchanges into a single location, providing investors with a full view of their crypto assets. When paired with full transactional control, this significantly simplifies crypto asset management. It’s almost tax time again, and accountants are going to be inundated with crypto investors looking to pay taxes on their assets. Accounting for crypto is easiest and most accurate when professionals have the information they need in an accessible format. 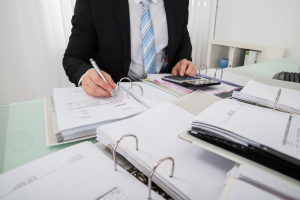 While this can require a painstaking process of document acquisition, this can be simplified by using third-party asset management tools that can streamline communication with CPAs and external auditors. For example, a platform that can export data on all crypto assets into a CSV allows users to quickly share financial information with tax professionals. Naturally, platforms that offer a plugin to popular services like Coinbase are even better. Balancing ease-of-use with financial accountability is a critical component of crypto asset management, and the right platform can make all the difference in this regard. In a financial environment marked by separation, inclusivity is a key feature for bookkeeping of crypto. For individual investors, this means direct connections to wallet and exchange services, as well as other related investments like futures contracts or ETFs. These products are becoming increasingly popular, and they only stand to become more prolific as the products are adopted by investors more accustomed to traditional financial products. Organizations require these same features, but they also benefit from software that provides access and insight for many employees. Regardless of the investment scope, build an asset management strategy that accounts for the growing crypto movement and participation in those opportunities. As the cryptocurrency movement continues to advance, investors will require a crypto portfolio manager to maintain their tokens and contracts. In many ways, they require the same tools available to traditional investors, so that they can adequately track, monitor, and account for their assets. There are many options to choose from, but selecting software that includes synchronization, auditability, and inclusivity are keys to management success. By evaluating in these merits, it’s possible to make a great software selection that bolsters financial management for crypto assets.